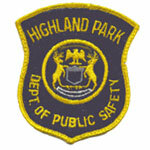 DETROIT— An FBI sting netted four Highland Park police officers on charges of bribery and drug trafficking, the feds announced Friday. The cops included: Anthony Bynum, 29, of Highland Park; Price Montgomery, 38, of Highland Park; Shawn Williams, 33, of Detroit; and Craig Clayton, 55, of Highland Park. Williams and Clayton are both auxiliary officers. The FBI and U.S. Attorney’s Office said it all began when officers Bynum and Montgomery arrested a man in August 2012 on a firearms charge and beat him. While in the hospital, the man offered the officers a bribe to drop the charges. The man started working as an unpaid FBI informant and allegedly gave the two officers $10,000 so they wouldn’t show up to trial. The exchange was recorded by the FBI, and the two cops failed to appear in Wayne County Circuit Court for trial. The charges were dropped, the FBI said. Subsequently, last Nov. 15, the two officers agreed to transport what they thought was two kilos of cocaine from the Oakland Mall to a location in Taylor for the FBI informant. Each was paid $1,500. Posted: 1/25/13 at 11:38 AM under FBI, News Story.